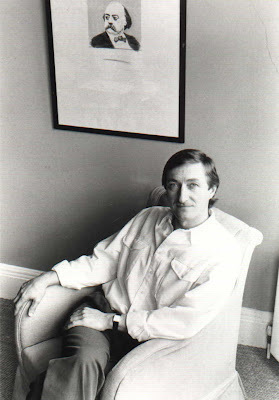 Julian Barnes is the award winning author of over 10 novels. Two of which have picked up Booker nominations and his latest novel Arthur & George was Booker shortlisted in 2005 . In the past he has been, amongst other things, the deputy literary editor for The Sunday Times, the London Correspondent for the New Yorker magazine and has appeared on Desert Island Discs . He currently lives in London. His latest book is Nothing to be Frightened of. I think the ideal night, whether out or in, depends on having been preceded by an ideal day. One ideal would be a day of satisfying work, followed by cooking dinner for friends. Another would be a day spent walking through the French or Italian countryside, and ending up in a small town where there were no other tourists, the heat of the day holding long enough so that you could eat out at a small bistrot or trattoria and sit there, drink in hand, watching the world go by. It varies from Shakespeare to the Oxford English Dictionary to the Michelin Guide to France to Flaubert's Letters to Jane Grigson's Vegetable Book. How did you get your first publishing deal with your debut novel, Metroland? I went in for a ghost story competition organised by The Times in about 1974. The winners had to agree to offer their first work of fiction to the publishers Jonathan Cape. This wasn't a hardship, as Cape were the leading fiction imprint in the country. Five years later I handed in the novel. They asked for lots of changes, but published the book. I've been with them ever since. In Nothing to be Frightened of, you say that if you were to live your life again then you "could discover quite new sorts of disappointment." Are there things that you would still like to try and do you think they will deliver or, as you say, lead to further disappointment? Yes, I think I said: discover new pleasures and interests as well - some of which will probably end in disappointment. That's the nature of life. Given an eternal lifespan we like to imagine we could succeed at most things. But let's be realistic: given the time left, I reckon that if I took up, say, the tango it'd probably end in disappointment. I think what I want to discover from now on are new places and new people rather than new skills. I know you like France, are there any other particular places you would like to visit? As you say that this book in not your autobiography, can you give us an anecdote you would include if you were ever to write your life story. I'm going to duck this, for the simple reason that I might need that anecdote: if not for my 'autobiography' (which I doubt I'll write), then for fiction. Fair enough! What are your views on author and celebrity autobiographies and why do you doubt you'll write one? Well I shan't write a 'celebrity autobiography' because I'm not a celebrity. I doubt I'll write an 'author autobiography' for various reasons: a) my life (away from what happens in my head) wouldn't be of much interest to readers; b) even if it were, there are privacy questions - not just your own: you can't write an autobiography without touching the lives of others; c) I'd rather people read my books than considered what sort of person I am; d) the form of the autobiography often governs its content, and I find its form conventional; so e) I was only ever going to write a partial, bit-of-me, slice-through-this-part-of-the-head type of book - which I guess is what 'Nothing' is. Part 2 of the interview on Monday, where Julian talks about reaction to the Nothing to be Frightened of main theme: Musing on death. Plus a review of the book and then on Tuesday Part 3 of the interview and a clip of Julian on YouTube. Wonderful questions, Mike. I feel I know more about Julian Barnes, the person, than I would have through other more mundane questions. Excellent questions, specific to the author, and a great interview! Hope to read the rest of it. Interesting and well done! He's one of my favorite writers, Mike. It embarrasses me to admit I didn't know about his new book before now. You and he come across like friends. As specific as your questions are, the overall mood is casual and appreciative. I'm so impressed with this place. The Hiss is going to feature you. Great interview! He's one of my favourite authors. Orna : Glad you liked it and thanks for dropping in. Helen Ginger: Thanks - that's what I aim for: bringing you the person as well as getting the authors to talk about their craft. Lynda Lehmann: Thanks - I pitch specific questions to the authors I interview rather than just the same old list every time. 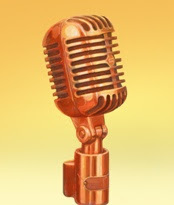 Kathleen Maher: Yes I liked the tone of this interview and I'll review his book Monday - it's good! Rufus: Hiya welcome to The View From Here Rufus my new mate! Great interview and cant wait for the next round..
Has the book been released yet???? if not when... if so when..
Aussie Cynic : Hiya buddy - yes the book is out - there's an Amazon order link in the side bar! Looking forward to the next 2 installments....well thought out questions that reads with a familiar tone. Illuminating, Mike. A fine introduction to the author. To my shame, I confess I've not read any of Julian Barnes' work, but his responses to your questions convey a playfulness with language and a sharp wit that I beieve I'd enjoy. Thanks. These interviews are tremendous. "I'm actually six foot one, not two, but I couldn't find a rhyme." Thanks, Julian has a tone and style you would like Paul. Hey Mike, great interview. I like his ideal day and night, although I could swap the satisfying work with a fun day with the family and then cooking dinner for friends! Ange's Biz: 24/7 fun then? Great interview Mike. Thanks for sharing this with us - factual and fascinating, but fun too. Couldn't be better.